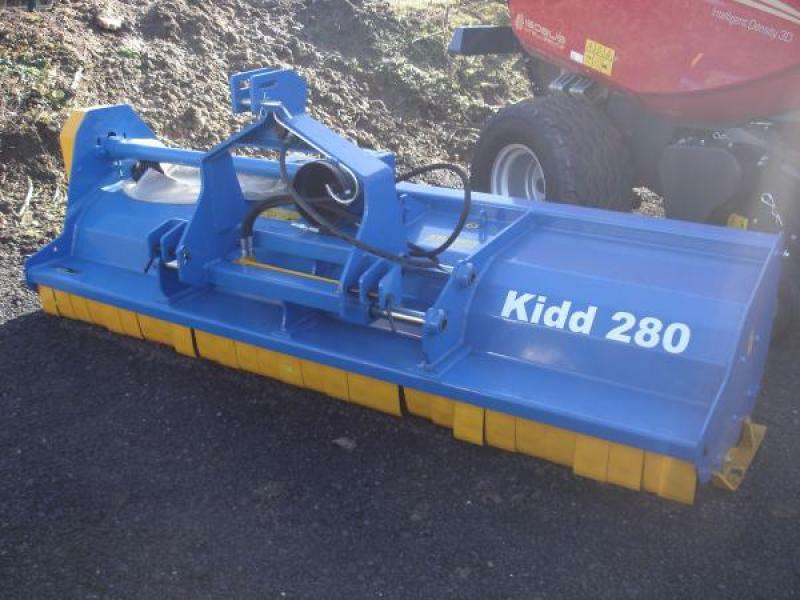 KIDD 280 Flail Mower. 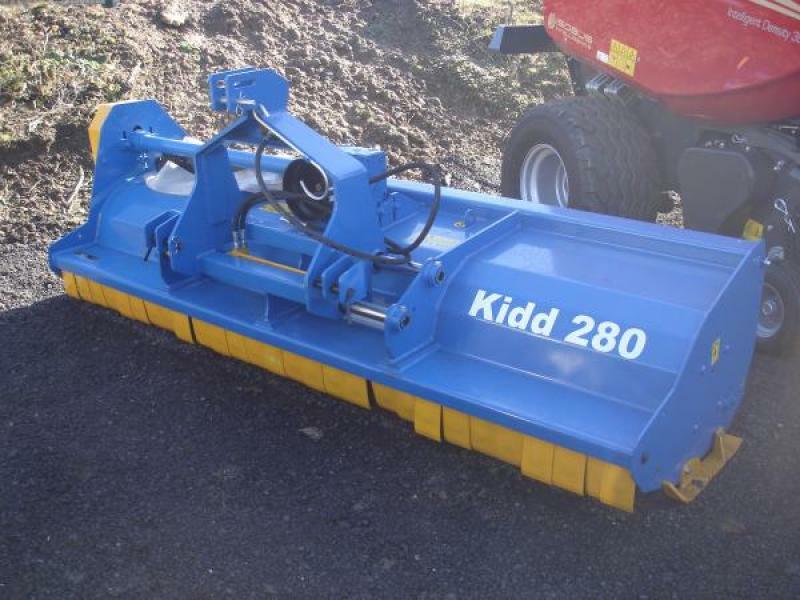 With Single Skin or Double Skin Shell and variable cutting widths from 1m to 3m, KIDD heavy duty and medium duty adjustable Flail Mowers also come in a choice of hydraulic or manual side-shift, single or double skin hoods. 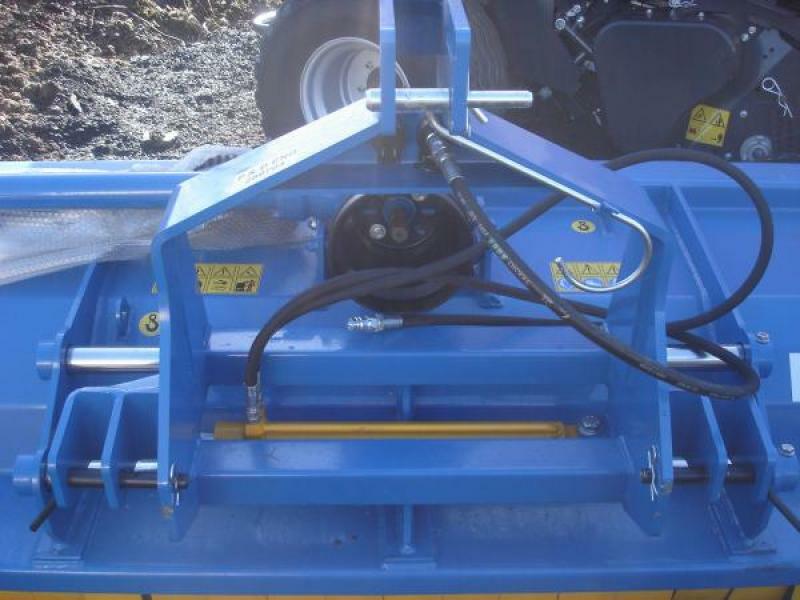 FEATURES: Heavy duty rear mount machine with adjustable rear door. Heavy duty front and rear mount machine. Well-spaced linkage mounting bars hold the machine stable. 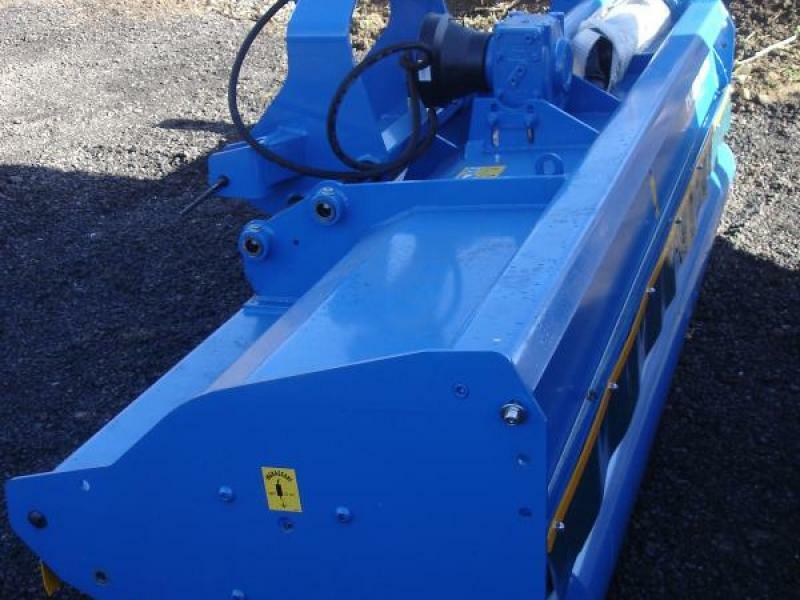 Medium duty machine from 1.50m to 2.00m cut. Manual or hydraulic side shift. 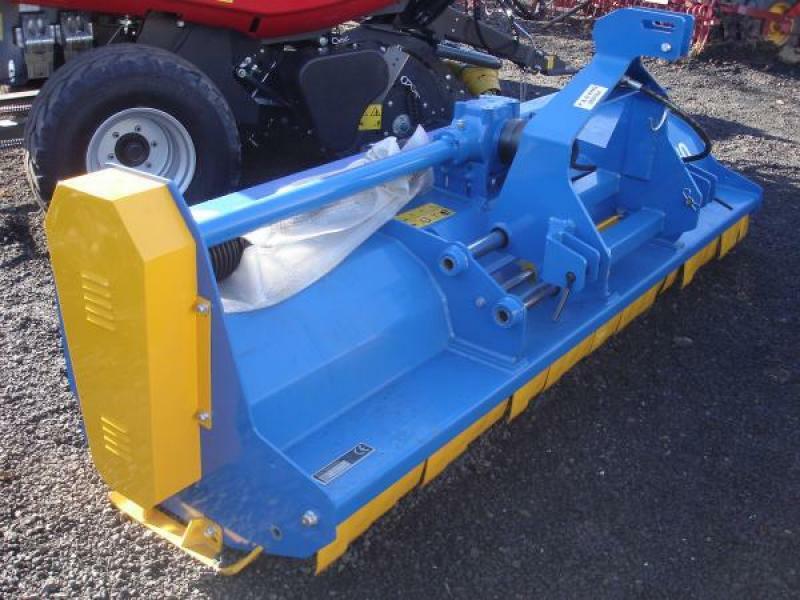 Currently in stock we have a 280 Flail mower with 2.8m cutting width. Please give us a call for more information.